JETAIRWAYS (213)- This one more stock tweeted on 09th Jan "above 188 upside target 208-212 and above the 224-226" now already attacked 212 and yesterday even closed above that also. so next target of 224-226 intact. 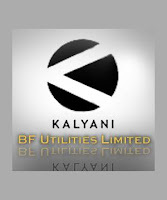 BFUTILITE (343) - the following was tweeted on 09th Jan.
@murugavellMURUGAVEL BFUTILITIE (300) - Above 305 upside target 346-361. stop below 280 9 Janvia webFavoriteReplyDeleteAs tweeted it moved from 305 to 347 (Yesterday made high 347.80)now what next ? If crossed this level then next attack in upside 436-446Minor resist at 388-394. 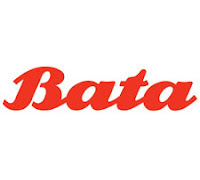 BATAINDIA (611) - This was the post, posted here on 05th Jan "Above 560-565 upside target 605-610"
As posted it moved up from 560 to 607 on 11th Jan and from there it corrected up to the support level of 560 (made low 558 on 12th Jan) and from there once again moved up and now surpassed the mentioned upside target of 605-610 (yesterday made high 616). ABAN (409) - after yesterday big move now what next ?